يشكل فندق Town Centre Motor Inn بموقعه الممتاز في منطقة شواطئ ضمن مدينة ميريمبيولا، مكاناً ملائماً لقضاء العطلة بعيداً عن عجقة أيام العمل. يمكن من هنا للضيوف الاستمتاع بسهولة الوصول إلى كل ما تقدمه هذه المدينة النابضة بالحياة. بالنسبة لمن يريد الخروج، هذه بعض المعالم السياحية المتوفرة للزوار Merimbula Fresh Food Market, ميرمبولا دايفرز, جبل الساحل. يعمل Town Centre Motor Inn على ضمان إقامة مريحة لضيوفه من خلال خدماته الممتازة وحسن ضيافته. يمكن الاستمتاع بمجموعة من الخدمات على أعلى المستويات في الفندق كمثل صف السيارات, خدمة الغرف. لقد جهزت هذه الإقامة الفندقية بعناية فائقة لتوفر مستوى عالي من الراحة. في بعض الغرف يجد النزيل تلفزيون بشاشة مسطحة, غرف لغير المدخنين, تدفئة, مكتب, شرفة/ تراس. يقدم الفندق العديد من الفرص للاستجمام كمثل حمام سباحة خارجي. مهما كانت دواعي سفرك فإن Town Centre Motor Inn هو خيار ممتاز لإقامتك في ميريمبيولا. Very simple for a good price. We stopped overnight on a car trip and it was perfectly fine for an overnight stay. Easy to find, close to multiple food options. 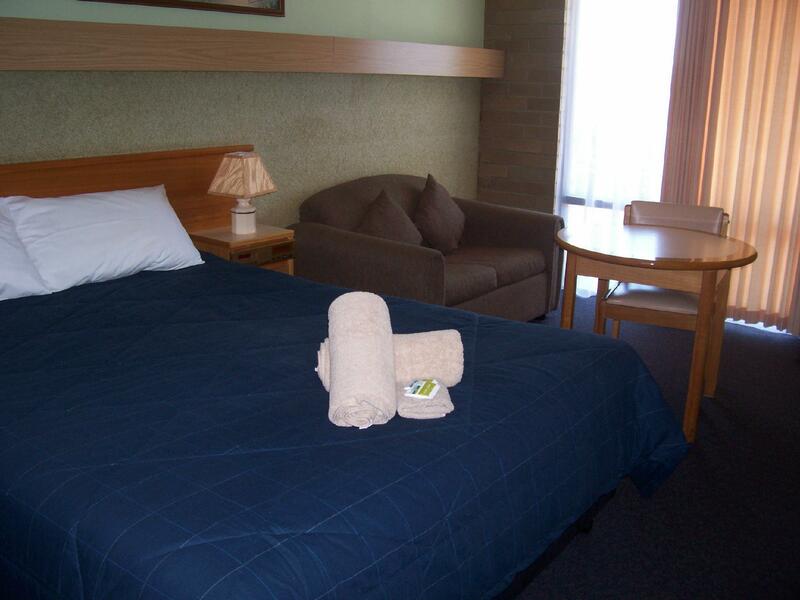 Freshly painted, carpeted and dressed making this an affordable stay for a quick break. Convenient location in the middle of town. Not the most luxurious holiday accommodation, but has all the bases covered. The only disappointment was that the pool pictured is no longer there. Motel too bad Le and badly in need of refurbishment. No shampoo etc, no hair dryer in room. Room smelly, bed uncomfortable, noisy neighbours, noise outside all night. Our stay was on 2nd floor up outside staircase. Room not updated since 1960's. Brick walls with carpet on wall behind bed..louvred Windows each end with a gale howling through..as it was so cold.only heating 3 bar electric fire!!! Not seen that for more than 30 years..radio beside was with dials...1950's? Bathroom basic..all plastic with corroded towel and shower rail..shower head suitable for a mouse!! It was so small..wall tiles circa 1970's..avocado.. Cutains on window torn..felt as though was in "Physco" film.....overpriced..never again. The rooms were clean. The microwave and crockery was a bonus, so we could prepare some light meals. 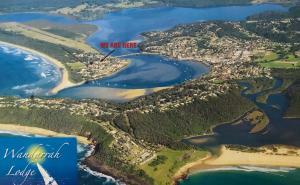 It is just across the road from restaurants, petrol station and supermarket. other shops are just a short walk away. It was very quiet and we had a nice stay. 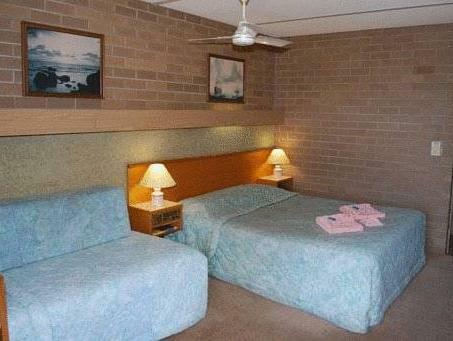 It is an old style motel and style is a little dated but this does not alter the comfort. It was only one night and ok. 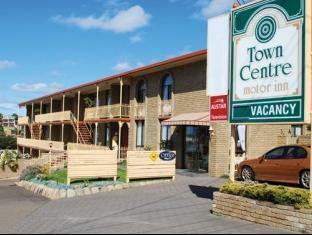 This motel is in the center and surrounded be cafes restaurant and shopping. It has great views from the first floor. 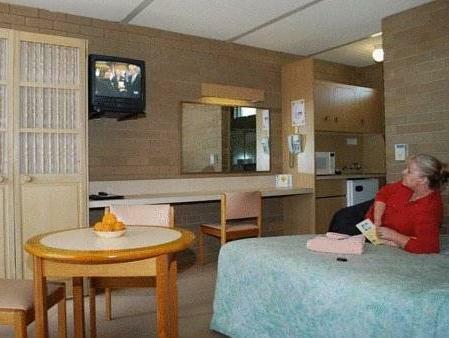 The motel is run of the mill ordinary but well priced and best location. will stay again when passing through. Did The Job - Average Standard. Enjoyed our stay. Had a problem with parking. Parks too narrow and often no park left when we returned at night. 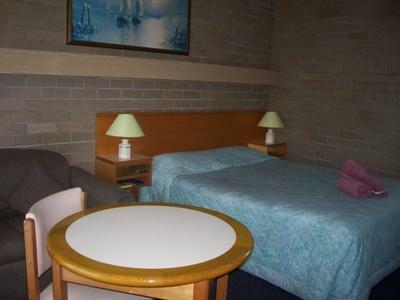 Good location, clean rooms, would stay again! Great stay at a good budget hotel- everything clean and tidy!